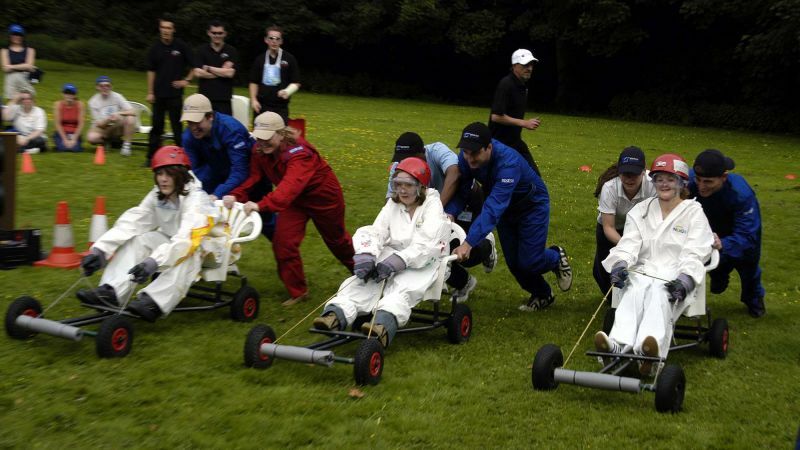 Racing human-powered, hi-tech go-karts this is a challenge for mind as well as muscle. 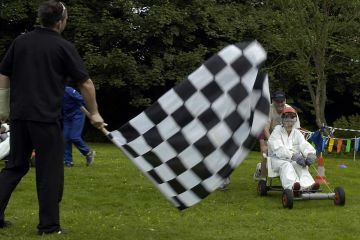 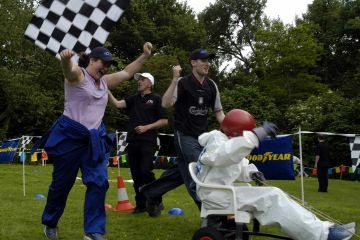 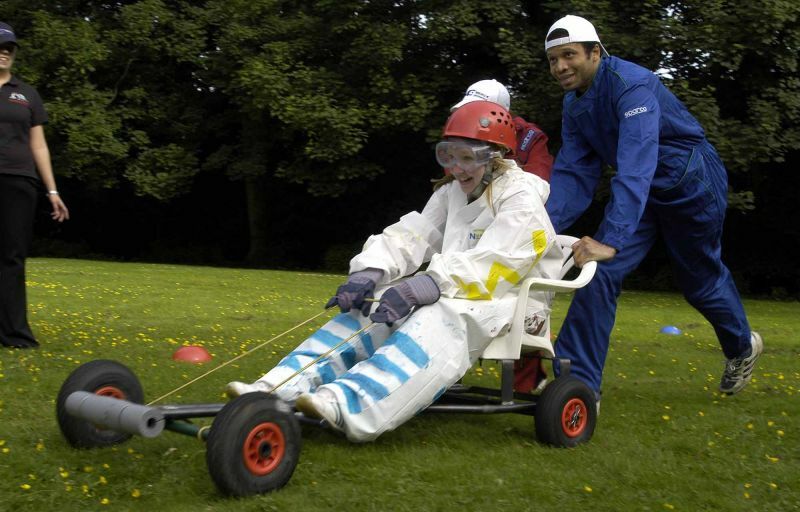 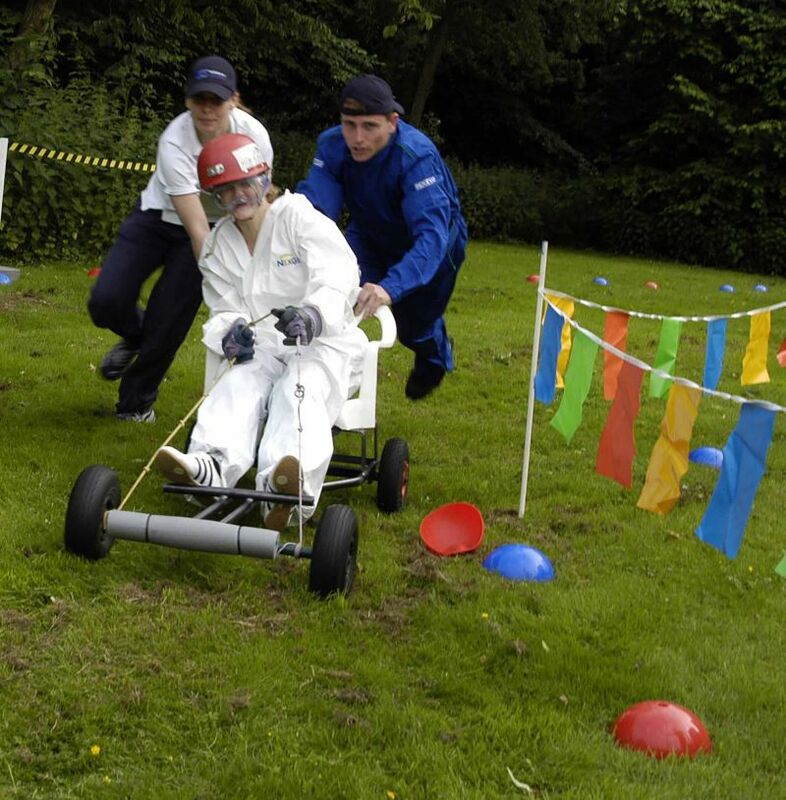 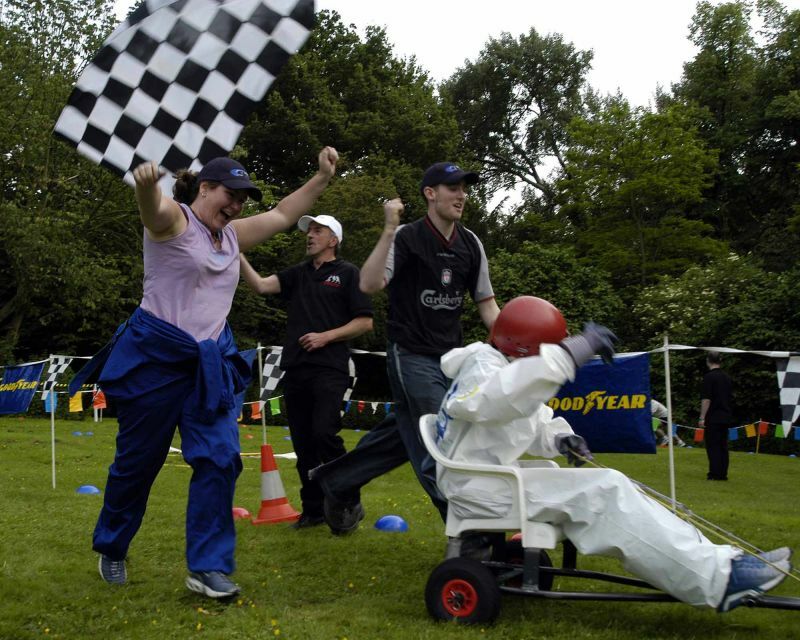 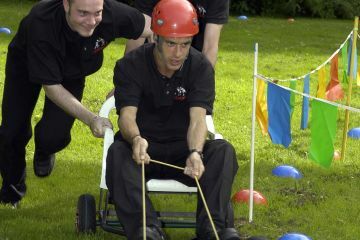 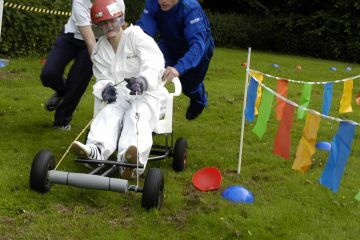 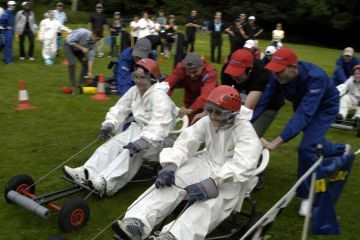 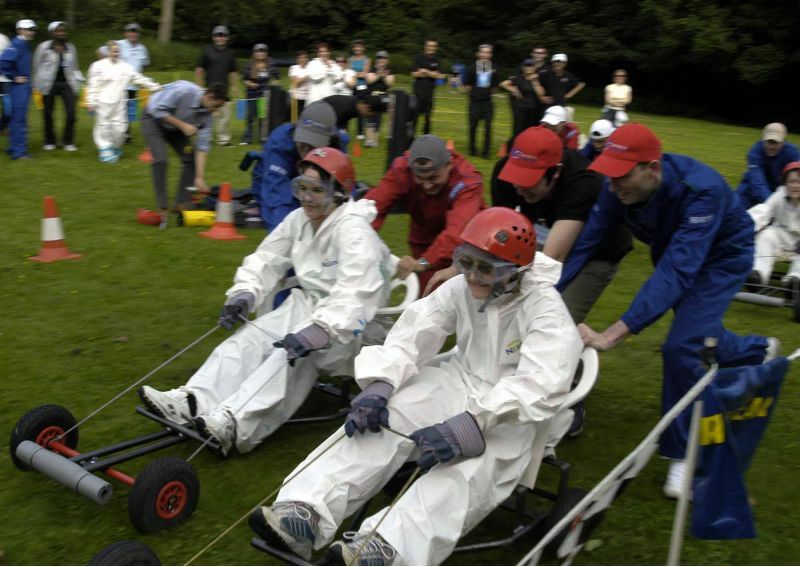 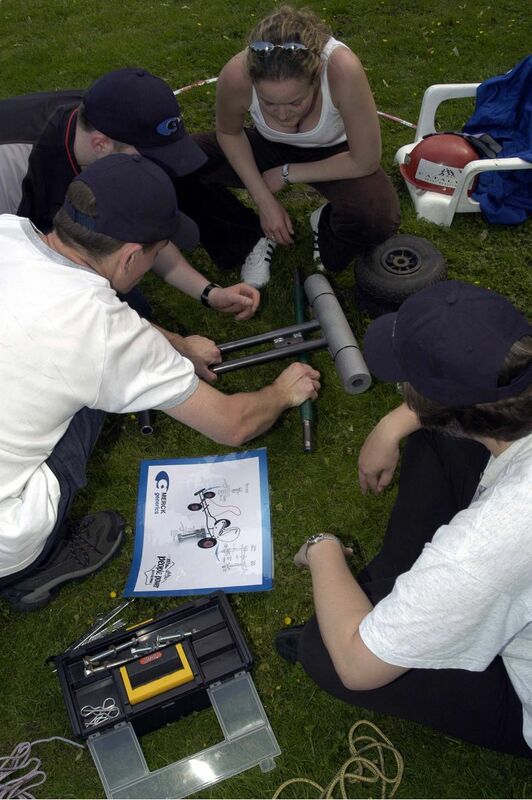 Teams compete in a series of mental and physical challenges to earn kart components. 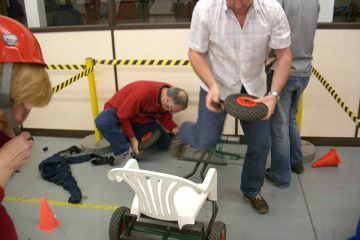 They then set about to construct their kart. 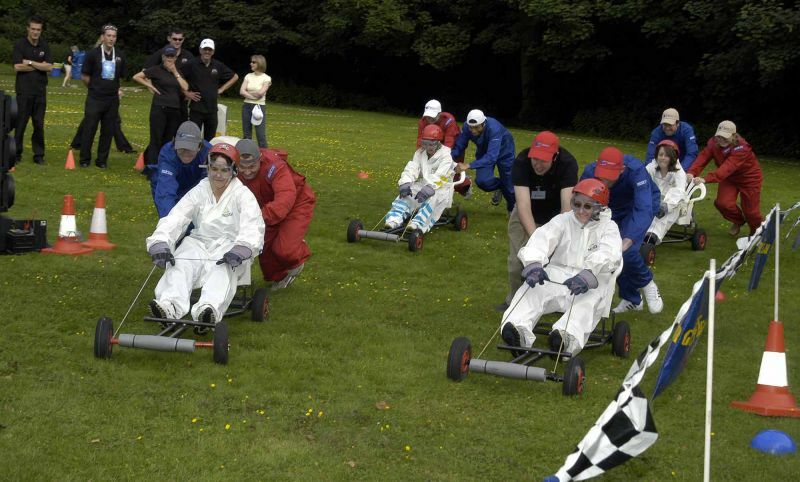 Driver, pit crew and pushing roles are allocated. 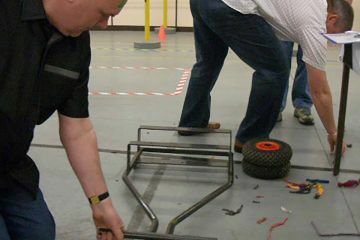 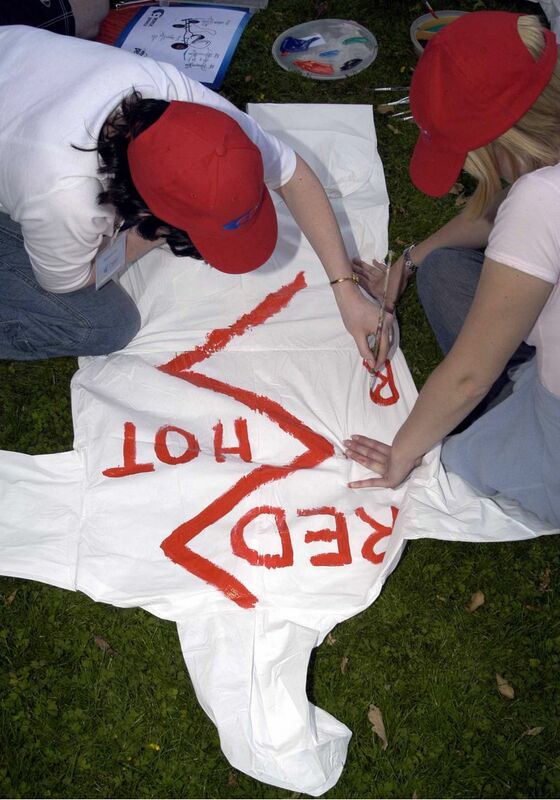 Teams practise their skills to drop seconds off their time. 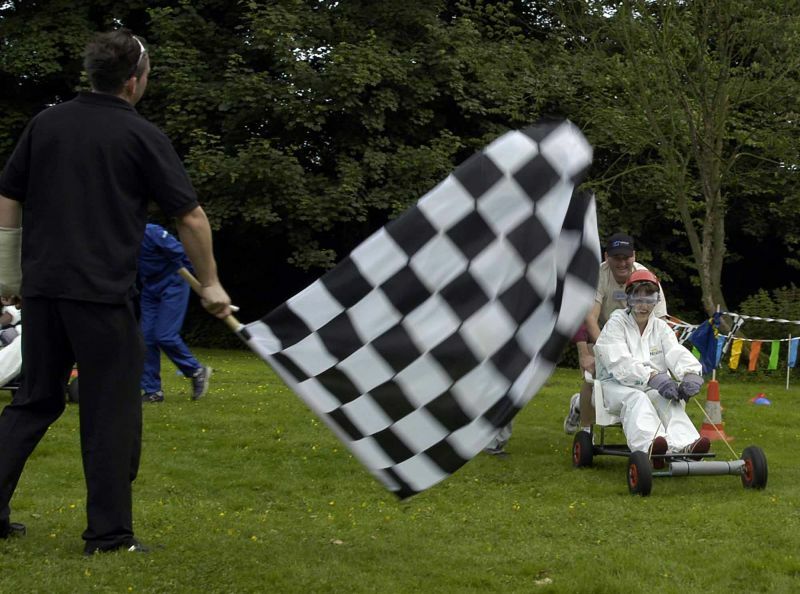 Then, teams line up their karts at the starting line and as the chequered flag flies, they are off and racing! 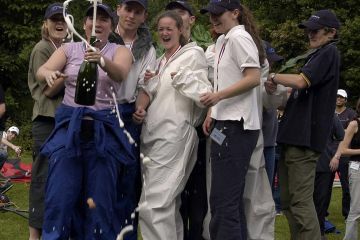 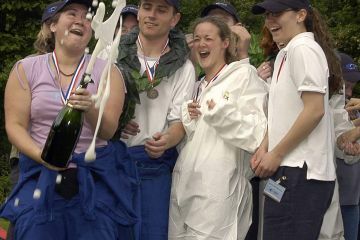 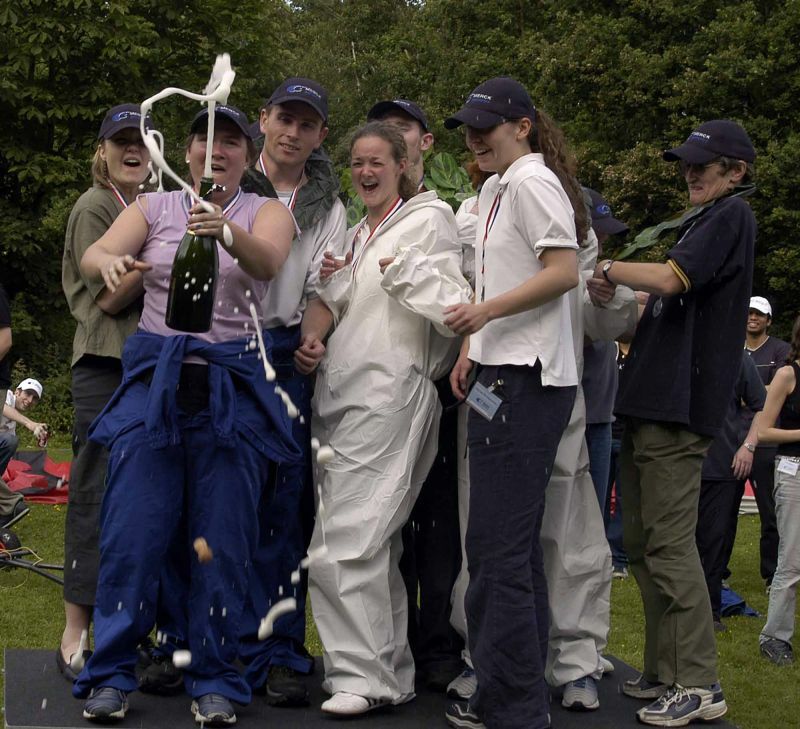 The winning teams rise to the podium and the Champagne flows! 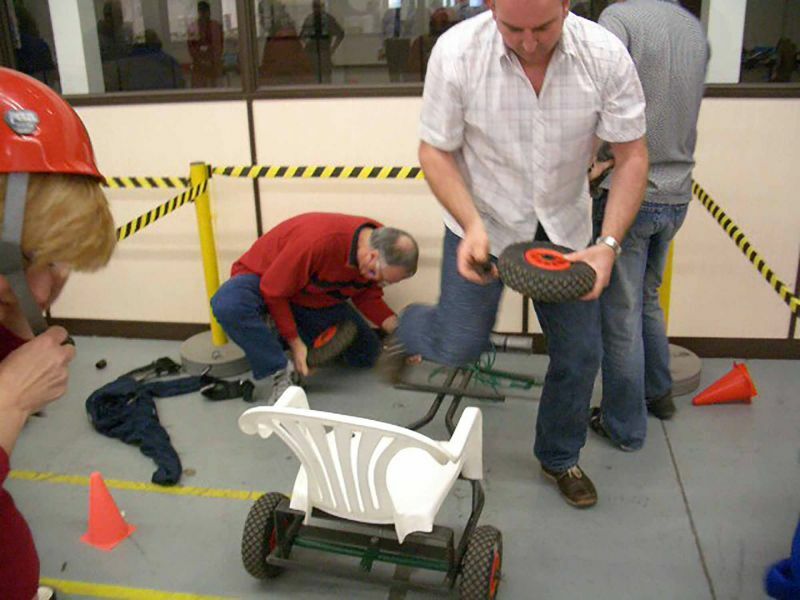 People Power Grand Prix challenges teams to work together with precision and efficiency. 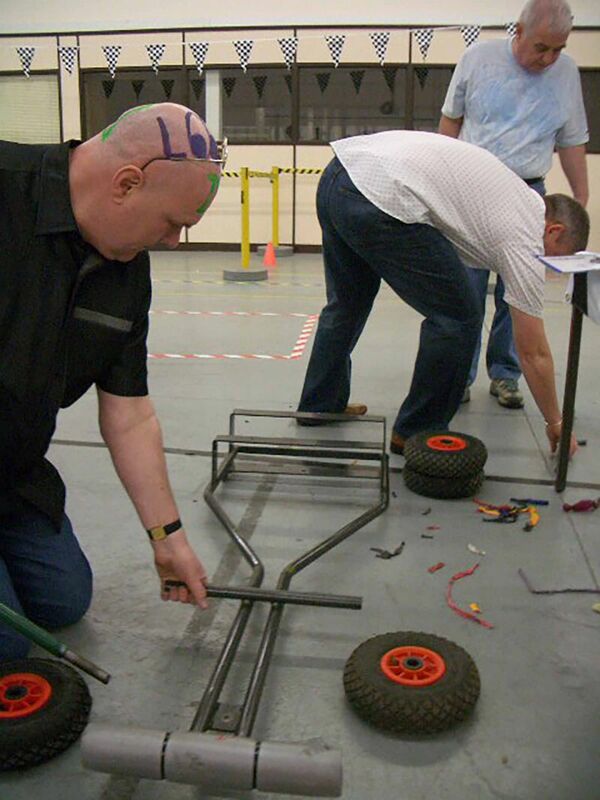 Teams are challenged to apply innovation and creative thinking to come up with the best solution to construct their kart, race it and also streamline their pit changes. 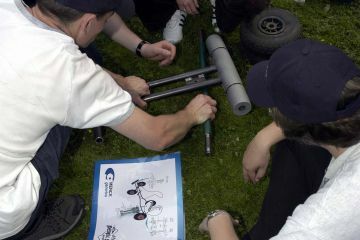 In the practise sessions teams process improvement is highlighted. 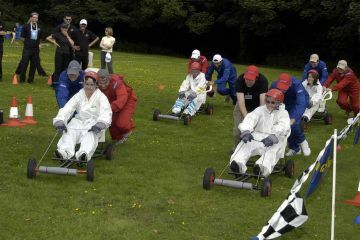 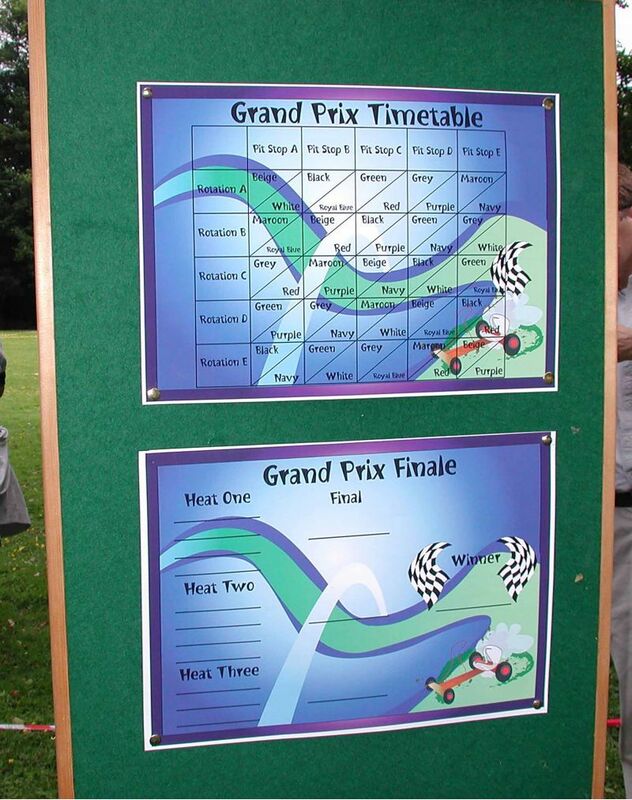 People Power Grand Prix is a fantastic fun team bonding exercise with a load of laughs that will be talked about long after the event is over. 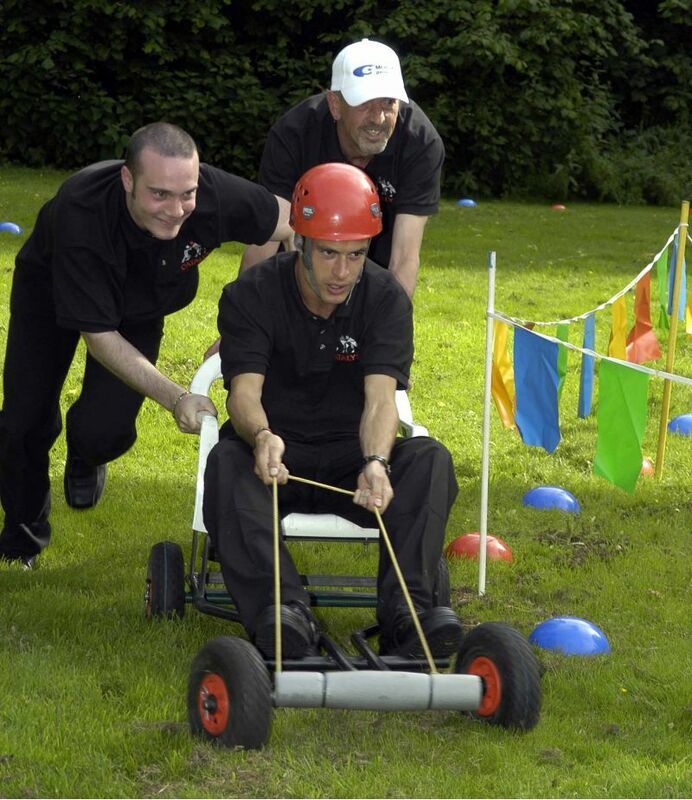 A hugely enjoyable way of approaching process improvement. Superb fun. 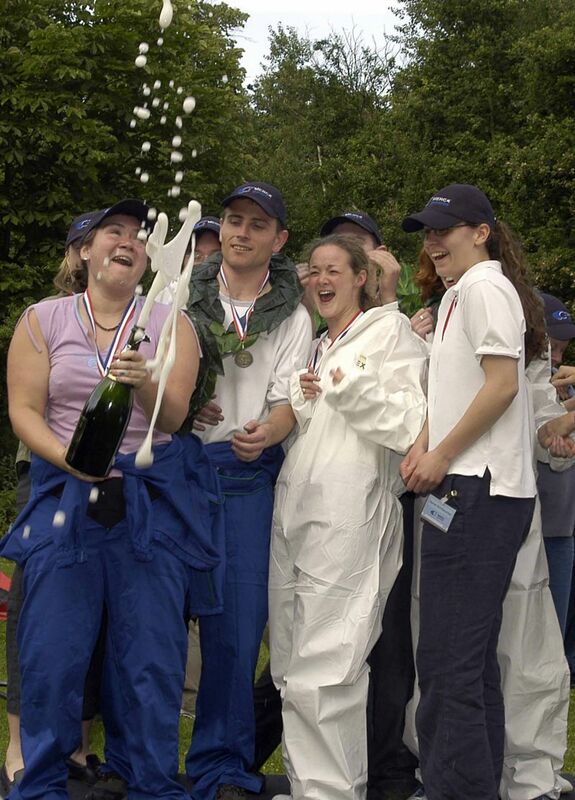 Great laughs. 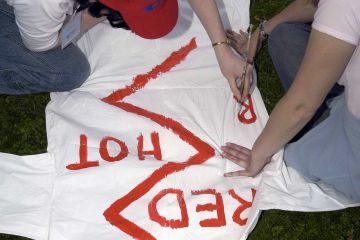 Surprisingly good platform for discussion and reflection.